In addition to being regulated by the Fair Debt Collection Practices Act (FDCPA), North Carolina collection agencies are also regulated by North Carolina debt collection laws. Discover: North Carolina collection requirements, bad check laws (NSF), statutes of limitations for both debts and judgments, garnishments plus North Carolina collection agency license and bonding information. 30 day written demand lesser of $500 or 3x check amount, but not less than $100. 100% of last 60 days’ earnings for family support. Garnishment only by political subdivisions for taxes, ambulance fees, etc. Exemption for out-of-state collectors: Contact state authorities. Unofficially, licensing authorities may allow out-of-state agencies to bypass requirements if they do not solicit in state and/or work for instate clients. Part 3. Prohibited Practices by Collection Agencies Engaged in the Collection of Debts from Consumers. § 58 70 90. Definitions. (1) “Collection agency” means a collection agency as defined in G.S. 58 70 15 which engages, directly or indirectly, in debt collection from a consumer. (2) “Consumer” means an individual, aggregation of individuals, corporation, company, association, or partnership that has incurred a debt or alleged debt. § 58 70 95. Threats and coercion. § 58 70 100. Harassment. § 58 70 105. Unreasonable publication. § 58 70 110. Deceptive representation. § 58 70 115. Unconscionable means. § 58 70 120. 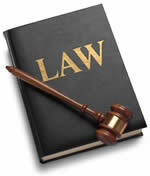 Unauthorized practice of law; court appearances. § 58 70 125. Shared office space. § 58 70 130. Civil liability. Prohibited Acts by Debt Collectors. (1) “Consumer” means any natural person who has incurred a debt or alleged debt for personal, family, household or agricultural purposes. (2) “Debt” means any obligation owed or due or alleged to be owed or due from a consumer. § 75 51. Threats and coercion. (1) Using or threatening to use violence or any illegal means to cause harm to the person, reputation or property of any person. (2) Falsely accusing or threatening to accuse any person of fraud or any crime, or of any conduct that would tend to cause disgrace, contempt or ridicule. (3) Making or threatening to make false accusations to another person, including any credit reporting agency, that a consumer has not paid, or has willfully refused to pay a just debt. (4) Threatening to sell or assign, or to refer to another for collection, the debt of the consumer with an attending representation that the result of such sale, assignment or reference would be that the consumer would lose any defense to the debt or would be subjected to harsh, vindictive, or abusive collection attempts. (5) Representing that nonpayment of an alleged debt may result in the arrest of any person. (6) Representing that nonpayment of an alleged debt may result in the seizure, garnishment, attachment, or sale of any property or wages unless such action is in fact contemplated by the debt collector and permitted by law. (7) Threatening to take any action not in fact taken in the usual course of business, unless it can be shown that such threatened action was actually intended to be taken in the particular case in which the threat was made. (1) Using profane or obscene language, or language that would ordinarily abuse the typical hearer or reader. (2) Placing collect telephone calls or sending collect telegrams unless the caller fully identifies himself and the company he represents. (3) Causing a telephone to ring or engaging any person in telephone conversation with such frequency as to be unreasonable or to constitute a harassment to the person under the circumstances or at times known to be times other than normal waking hours of the person. § 75 53. Unreasonable publication. (2) Using any form of communication which ordinarily would be seen or heard by any person other than the consumer that displays or conveys any information about the alleged debt other than the name, address and phone number of the debt collector except as otherwise provided in this Article. § 75 54. Deceptive representation. (1) Communicating with the consumer other than in the name (or unique pseudonym) of the debt collector and the person or business on whose behalf the debt collector is acting or to whom the debt is owed. (2) Failing to disclose in all communications attempting to collect a debt that the purpose of such communication is to collect a debt. (3) Falsely representing that the debt collector has in his possession information or something of value for the consumer. (4) Falsely representing the character, extent, or amount of a debt against a consumer or of its status in any legal proceeding; falsely representing that the collector is in any way connected with any agency of the federal, State or local government; or falsely representing the creditor’s rights or intentions. (5) Using or distributing or selling any written communication which simulates or is falsely represented to be a document authorized, issued, or approved by a court, an official, or any other legally constituted or authorized authority, or which creates a false impression about its source. (6) Falsely representing that an existing obligation of the consumer may be increased by the addition of attorney’s fees, investigation fees, service fees, or any other fees or charges. § 75 55. Unconscionable means. (2) Collecting or attempting to collect from the consumer all or any part of the debt collector’s fee or charge for services rendered, collecting or attempting to collect any interest or other charge, fee or expense incidental to the principal debt unless legally entitled to such fee or charge. (3) Communicating with a consumer (other than a statement of account used in the normal course of business) whenever the debt collector has been notified by the consumer’s attorney that he represents said consumer. Knowing and abiding to the proper North Carolina debt collection laws is important for both creditors and collection agencies alike. There are debtor’s rights attorneys who are just waiting for creditors or collection agencies to slip up. If you mistakenly violate the North Carolina debt collection laws, you could create a liability for your business and even open yourself up to a expensive lawsuit. Please note: North Carolina debt collection laws can change over time, and you need to consult with an attorney before you use this information.